 The Montreal Canadiens Children’s Foundation has developed relationships of trust with many stakeholders and organizations. Below you’ll find a list of practical resources you can turn to for equipment, coaches and other educational tools in order to help you get started with the BLEU BLANC BOUGE Skills program in your community. If you would like to hire a qualified coach to help you facilitate your ice skating sessions, we invite you to contact the Montreal Canadiens Children’s Foundation. Not all boroughs and cities offer helmets and skates in sufficient quantity for a group of children to rent. Did you know that it is possible for registered charities that have been issued a charitable registration number by the Canada Revenue Agency to apply for financial support for the purchase of equipment? The Montreal Canadiens Children’s Foundation provides financial support to organizations that wish to get funding for projects and programs tailored to encourage and support a healthy lifestyle through physical activity among children. The period to submit a donation request is from September 1 to November 30 of the current year. Canadian Tire Jumpstart also provides financial support for the purchase of equipment. The Canadiens @ School program offers teachers free hockey-related school tools. More than 300 lesson plans and educational activities have been developed specifically to meet components of the MELSQ curriculum and the program reaches more than 500,000 students across Quebec. Jean-François Laflamme, a Kinesiology and Physical Education graduate, evaluated in his thesis the Montreal Canadiens Children’s Foundation BLEU BLANC BOUGE en Action program, aiming to reflect elements impairing or enabling its implementation. Available in French only. Children you work with would like to participate in organized ice sports? Here is a list of interesting references to consult.